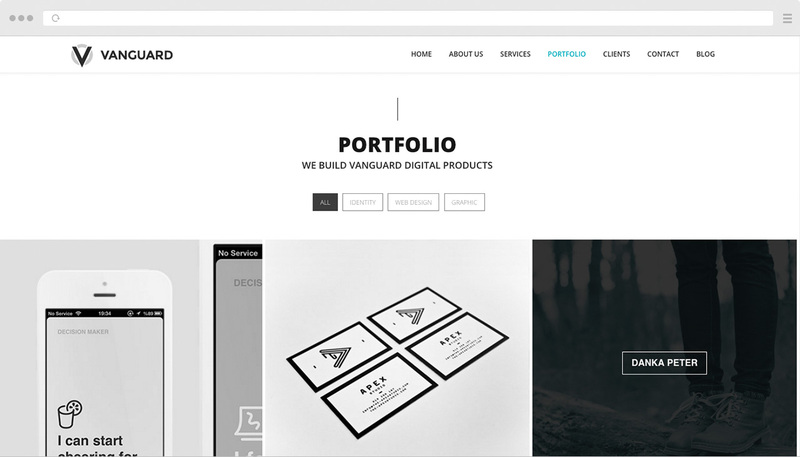 Vanguard is a Modern OnePage template width a Responsive Layout 6 Prepared styles, 4 Portfolios Types, Multiple demos available Isotope Blog and much more! 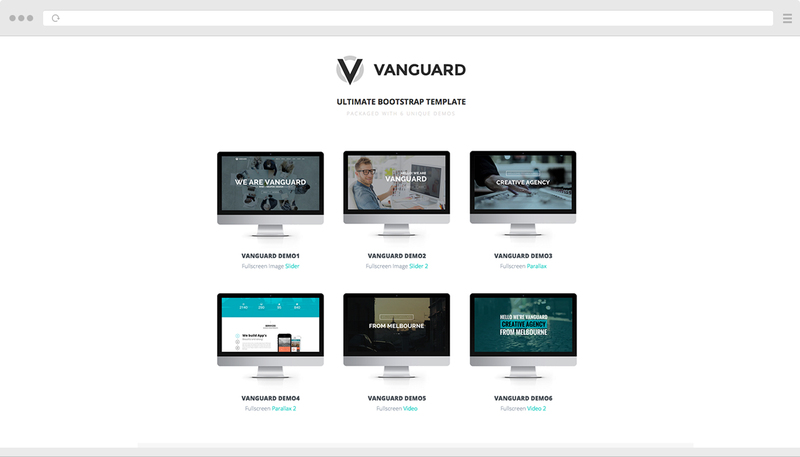 Vanguard is a Modern OnePage template width a Responsive Layout (work in all devices), 6 Prepared styles, 4 Portfolios Types, Multiple demos available, Isotope Blog and much more! 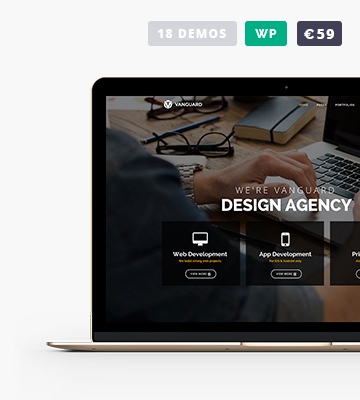 Ideal for creatives, designers, artists, photographers, showcase your portfolio. Premium plugins are included, Revolution Slider Plugin (14$ Value), Cube Portfolio plugin (14$ value). Organized files and code. Easy to modify and work. 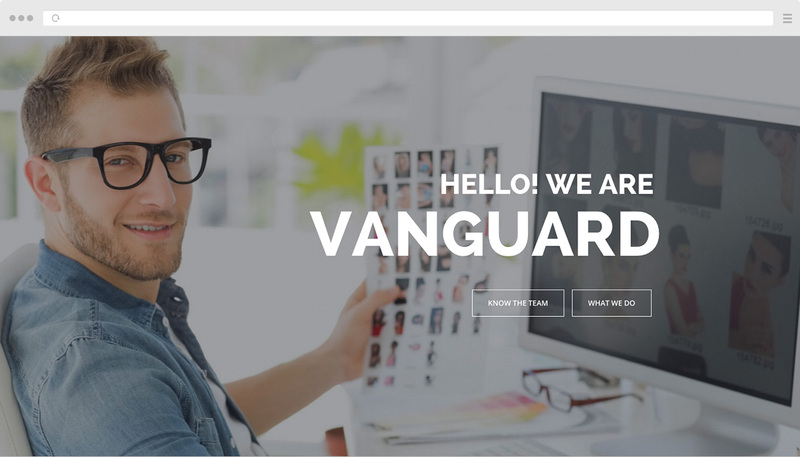 Vanguard looks great on any device, from mobile to desktop and beyond. Super Clean responsive design fits to any screen. Try resize your browser window and see for yourself! Vanguard comes with a lot of different header combinations and menus styles that you can choose just by adding new classes. All files are organized and code commented. Template comes also with a extensive documentation, to help you start with it. Layered Photoshop PSD files are included in vanguard package. Based on bootstrap 12 columns, they are for those who wish to customize and recode the design. Bunch of cool, fun, and cross-browser animations for you to use in all elements in your page. Easy to customize! 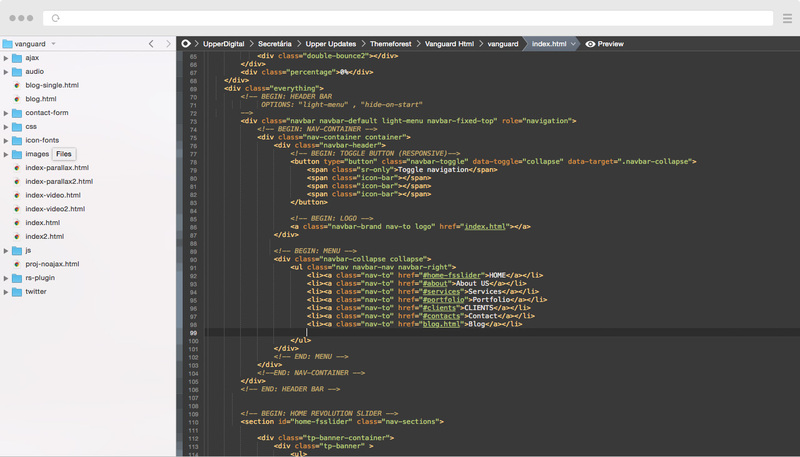 Vanguard comes with a functional Ajax contact form. Use it inside parallax sections or in light mode. We include in the template tons of cool scalable vector icons. Glyphicons Pro for web, Photoshop and Illustrator files. Font Awesome is also integrated. Take control of your theme’s typography with custom fonts. Access the massive Google Fonts library and create your unique style. We offer free support for all our buyers via support tickets page. AlsoVanguard come with a extensive documentation with HD how-to videos to help you get started with our theme.